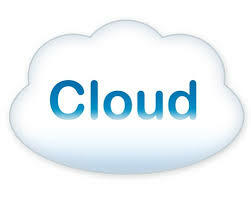 Apple Inc. and Microsoft all developed cloud computing field on a big scale in the 2011 year. The iCloud is increasingly gained following, and Windows 7 and Windows Phone 7.5 have a close relationship with cloud computing. It is suggested by a recent study that 78% companies intend to produce Tablet Personal Computer in a abundance by the end of 2013, obviously cloud will be the best bond to combine those devices. “Except for personal cloud similar to iCloud centering on devices, many creative personal cloud will be published in the year of 2012.The emerging of personal cloud will give great contribution to our industry and business,” says Hal Steger, global vice president of Funambol. It is called “personal cloud ”，“mobile cloud”，or even “pocket cloud”. Whatever its name are， in one word， it will be very hard for us to track important data without cloud in any time ,it is impossible to share and synchronize among kinds of devices. xCloud is born at the right moment in the environment of cloud time. What is xCloud? xCloud is developed by ChengDu(China) D-Team company and published in June 2012 to the public. It provides super excellent transfer service between your computer and mobile phone. You don’t need data line, or be limited by wifi any more, you can have one high speed, stable, safe and easy cross-platform .cross-network transmission tool now, it is xcloud. 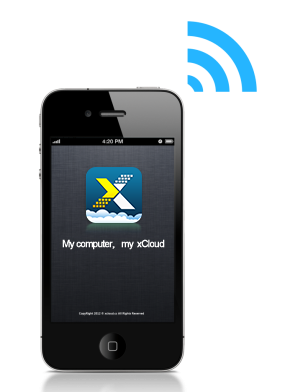 xCloud is an app for data transferring that connects PCs to mobile phones. xCloud turns your PC at home into your personal cloud storage, or a net disk, which can be accessed anytime and anywhere. xCloud enables you to upload or download photos, music, videos or other files at will when you’re not at home. xCloud transfers your picture automatically just seconds after you have finished taking pictures . To remember every moment of your life in a safe and private way. xCloud plays all music files in your computer by your phone, and supports many formats including flac. You can enjoy your favorite music in anywhere and anytime easily. xCloud remote turns on and off your computer, access your computer in any time . xCloud uploads your pictures to your computer automatically when your phone be under charge and wifi. You don’t worry to lose your materials any more. xCloud 4.0.0 has been published on May 10, 2013.
xCloud 4.0.0 provides huge network storage capacity and multi-platform data share . Whereby, after a large scale of high strength test, xCloud get favorites of majority of users. And the transfer speed has reached the most high level comparing to similar cloud products. The function of transferring offers absolutely safe and private service according to customer’s specific requirement. xCloud transmits data to your PC directly without via the server, which makes it be unique and more privacy safe to supply high quality transmit service for individuals and businesses. Obviously, what xCloud is good at gets over dedicated data share within the enterprise, on the other hand, xCloud protects personal privacy and safety very well. xCloud 4.0.0 version make customers find out highlights in a more clear and fast way with functions . DreamHost is the best web-hosting company with plans for any hosting needs.